Wherein my Dark Lilac Lamy Safari (IF) is paired with Diamine 150th Anniversary Purple Dream. 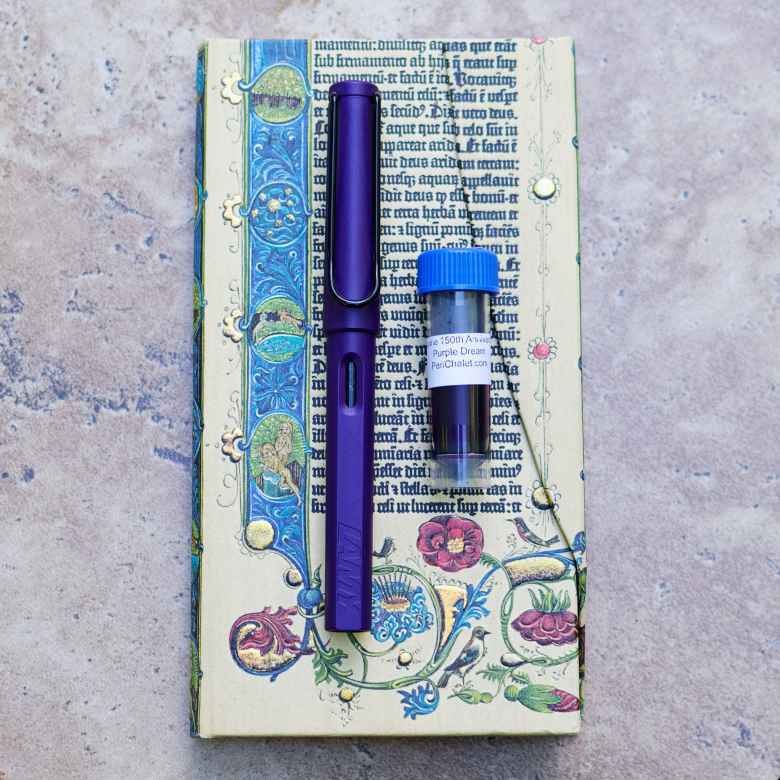 On June 22, 2018 my Dark Lilac Lamy Safari (IF) joined its comrades when it was filled with Diamine 150th Anniversary Purple Dream. The pen was in use for 6 months and was emptied and cleaned on December 26, 2018 , saying good-bye to its fellows. I was given six ink samples for Father’s Day, and today I decided I want to try them all out! I almost chose my purple TWSBI for this ink, but I have a couple of 580s already in rotation, and I’ve been wanting to write with a Safari for while, so here goes! This was an interesting combination. The ink wasn’t my favorite purple, but neither was it bad. If I didn’t have other purples I would be tempted by this one. I feel the nib still needs a bit of work. I realized that this pen was easily overlooked because when in my pen roll I can see naught of it but the clip, and that is less obvious than my other pens.